Hopefully some of you got the chance to catch our live UStream Feed yesterday from my Garage Gym here in PA. The gym’s been finished since April, but we haven’t been able to schedule anything where all the guys could make it down until now. Smitty, Eli, Brad and Brian all made it down. Also Joe Hashey and his brother Pat came down. We started our squats about 9:30. Even early in the morning it was already hot in the garage. Eli went through like a half dozen shirts I think. We squatted outside the cage with spotters. It was nice having people there to spot me. It gave me more confidence considering the back tweaks I have been having. I actually loaded the bar up to 315 to feel the weight again. We did an intermediate stance, not narrow high bars, but not wide sumo stance with the bar lower either. It was in the middle and felt pretty good. 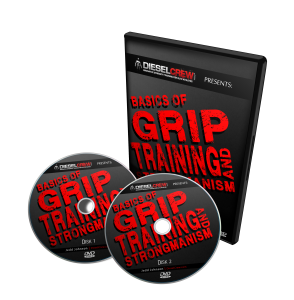 Everyone that reads the Diesel Crew site is already passionate about strength training; there is no doubt about that! This article contains methods I have used in my own training and with my athletes to add a “little something extra” to the programs. 1. Real Primary Exercises. Choose a primary exercise that is a compound lift and is proven to help you reach your goals. If you are an Olympic lifter, then choose those. If you are a powerlifter, then get to benching, squatting, and dead lifting. If you are a recreational lifter (here’s where we get in trouble), choose something off the list above. Smith machine curls don’t fit. Activate the most muscles you can right off the bat. Here is some more footage of us training at John Alvino’s after the first day of the Fast Track event. In this video, you’ll see plenty of axle deadlifting, both double overhand and reverse, some Rolling Thunder, working over the heavy bag, sumo deadlifts, and more. Nothing like meeting new dudes and within a half an hour busting on each other and having fun at a workout. Lots of sh*t talking and plenty of new friends made that weekend! Midnight, May 24th is the Day! I can’t wait until AMD is released and I can get some sleep. I was really hoping to have it done sooner, but I keep adding to it. As many of you know who have bought my products, I am a perfectionist. I want to make sure all of bases are covered and you have everything you need to reach your muscle building goals. Post your comments below and tell me if you’re excited about the AMD release. Thank you everyone for following us here at Diesel. Here in New York, the weather just hit 80 degrees (after it snowed 3 days ago)! That only means one thing – time to get the strongman equipment out and head outdoors. At Synergy Athletics, I work with athletes that play a variety of sports – soccer, football, lacrosse, baseball, field hockey, basketball, and hockey. Many of the athletes here play at least two of these sports. No matter the sport, nearly every athlete needs to be explosive. Try this full body workout to get explosive strength while increasing your general physical preparedness. I also designed this workout for people on a budget. You could get EVERYTHING needed for this workout for under $10. You don’t need a fancy commercial gym to get in an incredible workout. Hey check this out. I was lucky enough to attend the Secrets of Strength Seminar down in NJ a few months ago. While I was there, I was talking with my boy Joe Defranco and was telling him about a modification for the banded goodmornings his athletes were doing. I told Joe the goal of banded good mornings was not only to activate the posterior chain (glutes, hamstrings, erectors (isometrically)) while grooving a neutral position hip flexion/extension movement. I told Joe if we hope to engage the posterior we need to engage the upper back, including the lats, rhomboids and traps. Joe is a smart dude and he exactly what I was talking about as soon as I said it. Band pull aparts are a great way to target this upper back musculature. So why not combine the two movements. Here is Joe’s video giving me props and again providing his athlete’s with some innovative training means. For more innovative core training check out Combat Core, the best core training product on the Net. Latest AMD Video – Get the PROOF! I’ve been around a long time and I’ve seen most of the muscle building programs promoted on the internet. And let me tell you something, they are missing MANY very essential components. I’ve summarized these missing components in my new killer video. It is the one you’ve been waiting for from me. Proof that AMD works and builds sick muscle. I know what I’m talking about and guess what, in the AMD manual, I list all of the scientific studies that back up the program! I think you’ll like this one, you have to check it out. This video demonstrates a tornado ball rotation while bridging on a swiss ball. Dynamic stabilization of the entire torso; the abdominals AND posterior chain. The lifter has to bridge and remain parallel to the floor throughout the movement and remain fixed while the tornado ball is rotating. If you do not have a tornado ball, a med ball in a sandbag/dufflebag/pillow case can be used. The great thing about this exercise is that the lifter is isometrically contracting the anterior and posterior chains against a dynamic, ever changing tension. This increases the frequency AND intensity of the motor unit recruitment which is exponentially more beneficial than a static, long duration contraction. Not only that, there is also a deceleration and acceleration component to the lift as well. Think interval training rather than slow, low intensity treadmill. Also, this version is easier on the shoulders than the standard swinging overhead version of the tornado ball. Oh yeah, the video is a LITTLE FOGGY :). We were in the middle of a conditioning circuit and the camera guy was heated! Got Core Strength? Try KB Rocks! The core is not only about building strength in fixed movement patterns, it is also defined as developing the required torso rigidity (isometric contraction of the anterior and posterior chains) to prevent injury and express power. Lats are part of the core too! 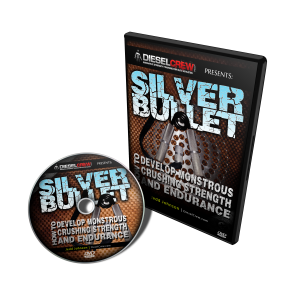 In this new video, you’ll see another Diesel Crew original, Kettlebell Rocks. They are named rocks because you have to remain rigid and unwavering during the partner engagement. The partner will throw the kb side to side at the peak of the swing. This is the exact moment that the lifter will brace, flex their lats, contract their abdominals and entire posterior chain to keep the kb path in line with a conventional swing. The partner should be forceful and not tentative with their part of the movement. This movement is very CNS intensive and because of this, I would recommend anywhere from 8-12 reps to ensure quality. Embed this video on your blog or point to it in your newsletter, let’s get the word out. Oh yeah, check out the side bar. Make sure you follow us AND send me an email to let me know what your favorite Diesel articles and videos are and we’ll get them up in our new Popular section! Why You Wearing Your Belt So High? You might be wondering to yourself why is Konstantinov, arguably one of the best deadlifters in the world, wearing his belt so high in this deadlift video. Well, to the untrained eye, his belt is WAY TOO high and he is going to get injured. – built up strength, thickness and muscle hypertrophy in the musculature surrounding* the spine in the area that resists anterior SHEAR forces under load. * Most notably the longissimus thoracis. When the spine is neutral the pennation of the longissimus aligns at approximately 45 degress to resist shear force, ie. protect your back and provide the stiffness to deadlift or squat without injury. So, Konstantinov is using the belt correctly for his body type (antrhopometry). He is bracing his abdominals outward via a powerful isometric contraction and utilizing intra-abdominal pressure to push out against the belt, which is aligned across the musculature taking the load, ie. the thoracic portion of the longissimus (one of the spinal erectors). This video shows conventional cable tricep extensions with a twist. Adding a typical jumpstretch band (from EliteFTS.com) will turn this exercise into a killer workout. Do this after your primary work sets. More efficient movements, greater stability (in frontal, sagittal and transverse planes), laying the foundation for externally loaded movements, portable, more fluidity, large variety, improved mobility and much more. Great variety of large ROM movements, portable, increased dynamic support grip strength endurance, odd-object adaptations, development of torso rigidity and hip explosiveness and much more. When you combine these two training protocols, you get a great workout, requiring minimal equipment, that can be done quickly with a lot of different combinations. Post your times for the workout! Check out these two great workouts from Mike Hanley from the Training Studio and CJ Murphy from TPS. Both take little time and will leave you in a pile on the floor. Get moving before, during or after the big game. I first heard about this innovative muscle building strategy when Arnold Schwarzenegger talked about doing in during his reign as Mr. Olympia. It is called “Running the Rack”. It can be used for each exercise in your workout OR as a finisher to your normal workout. This techniques refers to a high volume set where you pick a weight and perform as many reps as you can for a certain exercise. Then when you can’t do any more reps, you pick a lighter weight and continue performing reps of the same exercise. As you fatigue, you lower the weight and repeat. The reason it is called “Running the Rack” is, if the exercise you’re doing involves dumbbells you will be moving down the rack picking lighter weights as you fatigue. This form of density training improves work capacity, increases lactic acid which releases natural growth hormone. This in turn, builds muscle quickly. You could also reverse the order and start light, with higher reps and as you increase the weight, you decrease the reps. Again, little or no rest between weight changes. Perform lat pull downs with a cable stack. Core Strength – What are the Top 5 exercises? Jim what are your 5 favorite standing abdominal movements? In no particular order, here are some of the top abdominal exercises. Why are pull-ups and essential part of core strength? What is torso rigidity? How do you perform zercher squats correctly? Check out Combat Core! Check out the May issue of Men’s Fitness. They did a trainer spotlight on me and it appears in the back. CREDENTIALS: “Smitty”, a Certified Strength and Conditioning Specialist (C.S.C.S. ), is an expert on old-school fitness methodologies, such as kettle-bell and strongman training, and is a strongman competitor. He is co-owner of the Diesel Crew, a strength and conditioning business. 1. Be comprehensive. “Your routines should always include a thorough warm-up prior to any activity, then engage a variety of movements during training, and ultimately pay attention to recovery afterward.” In other words, use foam rollers and free-weight exercises, and practice good nutrition. 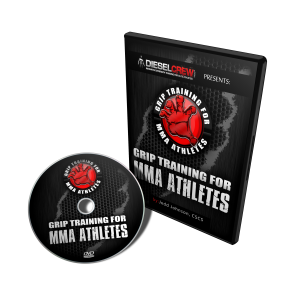 Learn more about Smith’s training methods at dieselcrew.com.